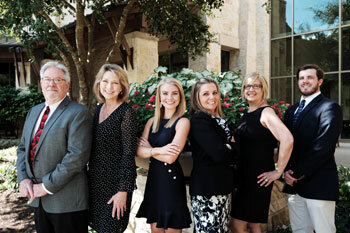 As REALTORS® in the San Antonio Premier Group, we are dedicated to helping you buy or sell your home, and making the process as simple and satisfying as possible. There are many qualities and skills that are critical to being an excellent real estate professional: integrity, in-depth community and market knowledge, marketing savvy, effective negotiation skills and a high-quality professional network- all of which are all hallmarks of the San Antonio Premier Group team structure. That said, in our many experiences as San Antonio real estate professionals, we have found that in order to provide the very best services to a client we must essentially be able to put them first. We are able to accomplish this by keeping ourselves accessible, actively listening, being excellent communicators, and making it a priority to respond as quickly as possible to our client’s needs. Thus, we have created a "client first" philosophy, which requires the Premier Group members to continually find ways to improve their skills and ways of doing business. In our constant pursuit to better ourselves, we have found the utilization of the latest available technologies is enabling us to accomplish tasks more quickly and efficiently than ever before. We in the San Antonio Premier Group take pride in providing the highest quality of service to our clients. We understand that having an agent you can trust is crucial when it comes to buying or selling your home, and earning that trust with our clients is what we in the Premier Group strive to do. Please do not hesitate to contact us if you have any questions, we are always happy and ready to help you with your real estate needs. You can rest assured that Mandi and I will be recommending you to anyone that we know that is buying or selling in San Antonio. We always appreciated your professionalism and how you were always ready with the answers when we had questions. The day that we called to talk about lowering the price, you had the numbers right there in front of you and told us to hold it where it was; that it was the market and not our price that was affecting how many viewings we were receiving. That phone call is the one that sticks out in my head as a very key moment in our very short selling process. Another element that I think was key was the staging. I think the ugliest thing in our house was the sink/countertop in the master bedroom. I’m sure it was nice in it’s day, but that day was a long time ago. The stagers actually made that green countertop look good! It was amazing. We are getting settled in Bishop and again are appreciative of your recommendation of Rhonda Remmers down there. She provided us with a very “full-service” experience as did you. The fact that you chose someone that was not an agent with RE/MAX spoke volumes for what your true concerns were. I believe in the end, It’s nice to have a sign in the front yard from a name like RE/MAX that people know and associate with good business, but other than name recognition the brokerage has very little to do with the experience you have selling the home. That is left up to the individual agent. I don’t feel I sold my home with RE/MAX… I feel Chuck Nall sold my home. I hope that makes sense. All in all, we can’t tell you enough how pleased we were to do business with you. We hope to send more business your way. It’s taken us awhile, but we wanted to thank you for all your help. You made buying our first home a really pleasant experience. Thanks. We really appreciated all the attention and great service. Thanks for everything! Sometime you and Tammy will have to come over for a cappachino from the machine we got at Bed Bath & Beyond.